How can we make sure if a message was processed at all with SAP PI/PO? Today, no alert means no error. 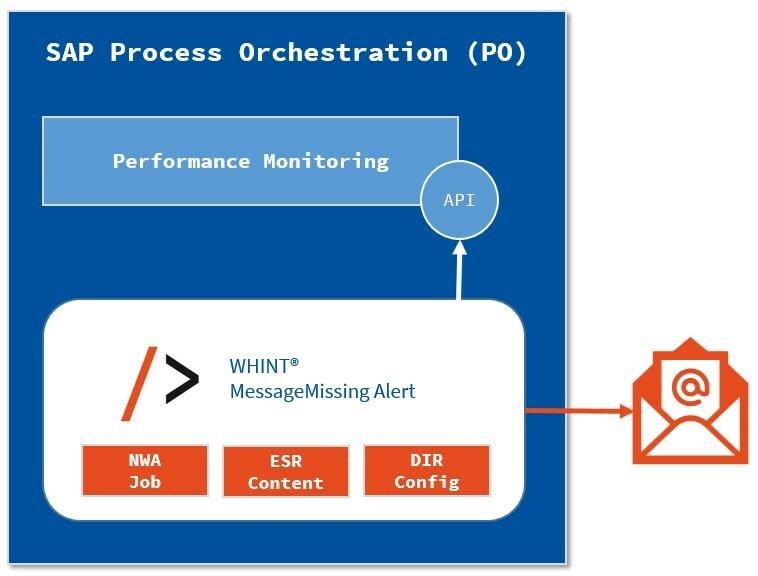 WHINT MessageMissing Alert is a solution that runs pro-actively as a job on your system (e.g. every hour during business hours or every month on the first) and checks in the message (performance) monitor if the interface ran or not. In case no message was found, an e-mail will be sent to a receiver. 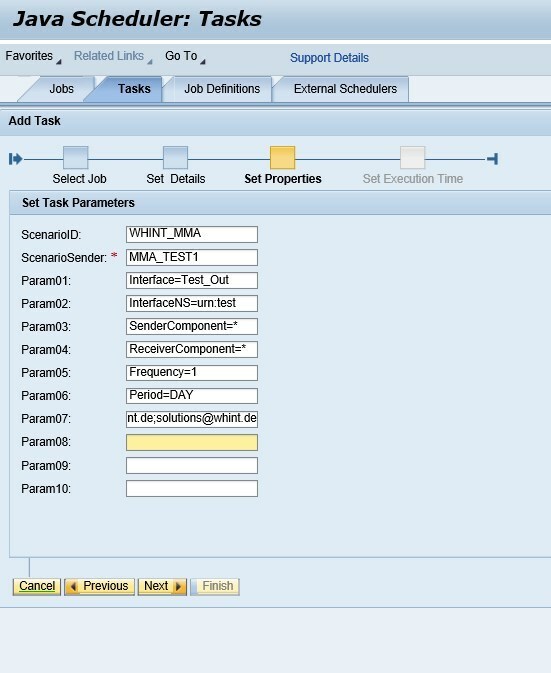 Configure the Scenario by installing the Integration Scenario in NWDS (via iFlows) or in Integration Directory Swing Client. 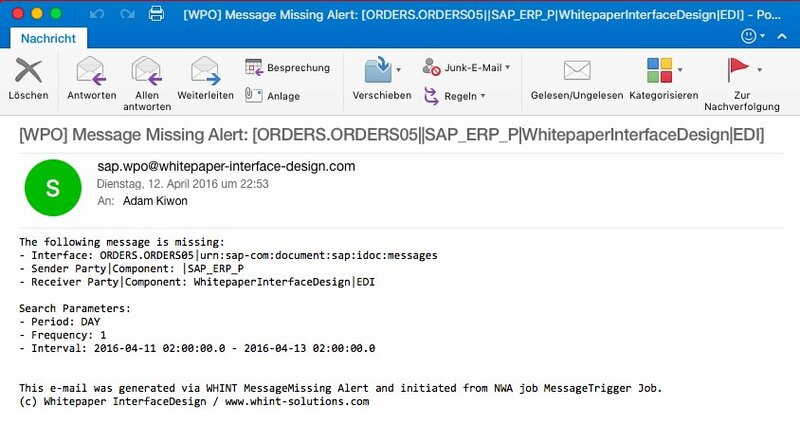 Per default “WHINT_MMA” is defined as the sender business component. The solution is using WHINT MessageTrigger Job which can generically send an XML message to the PI/PO runtime. The sequence of the parameters is not important. Finance data for reconciliation from a payment service provider shall be sent monthly from an SFTP server and posted into SAP accounting. 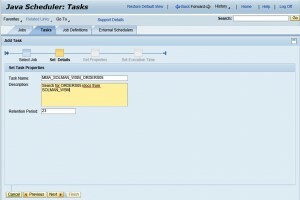 The solution makes sure that the interface is running every month at least once or at a given day. Another example is that the warehouse interface shall be active during business hours. Stock movement messages should be sent at least once every 30 minutes from SAP ERP to the AS/400 warehouse system. An immediate alert is sent out if no messaging takes place.